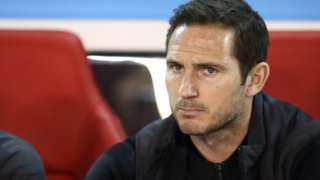 Chesterfield move five points clear of the National League relegation places with victory at Barnet. 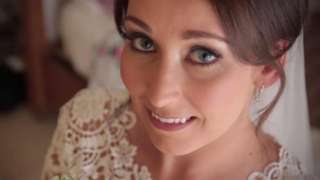 Natasha Abrahart's parents face "horrendous" legal bills of up to £70,000 for their daughter's inquest. 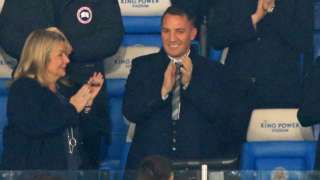 Brendan Rodgers is expected to become Leicester City's new manager after Celtic gave him permission to speak to the Premier League club. People from a Leicestershire village say they are shocked after lead was stolen from their church roof, just months after it was restored. The church in Goadby Marwood, near Melton Mowbray, dates back to the 12th century, and is Grade I listed. 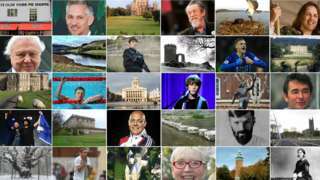 It's thought thieves stole the lead from the roof over several nights last week, with repairs expected to cost about £100,000. The church is very much a focal point of this village and it has affected us all quite badly." The parents of a student who took her own life are facing a £70,000 bill for her inquest because they cannot get legal aid funding. 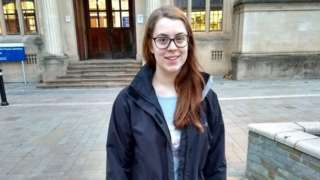 Natasha Abrahart, 20, from West Bridgford in Nottinghamshire, was studying physics at the University of Bristol when she died on 30 April 2018. Robert and Margaret Abrahart are joining a campaign at Westminster today over legal aid, which would help them pay for it. They believe they need to find answers for themselves and so this doesn't happen to others. So far they have raised £20,000 through crowdfunding for the inquest in May. It's a chilly start but some parts of the region might hit 19C later. Four fans were arrested last night at Forest's home clash against Derby County. About 29,000 people flocked to the City Ground last night to watch Forest beat their rivals 1-0. 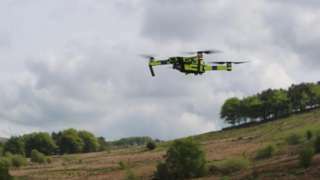 Police had warned fans they would be monitored with drones but they said they were "pleased to report the evening passed largely without incident". 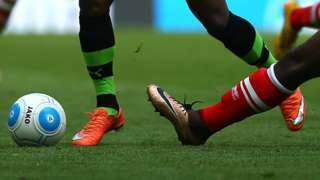 But by 22:30 after the match they had arrested four males in connection with incidents reported before, during and after the game. There were others reported to them which they said they will follow up in the coming days. M1 Derbyshire - Queuing traffic on M1 southbound from J29, A617 (Chesterfield) to J28, A38 (Alfreton), because of debris on the road. Evidence that Kirsty Maxwell fell from a balcony rather than jumped is to be heard by a Spanish judge. M1 Leicestershire southbound severe disruption, from J21 for M69 to J20 for A4304 Lutterworth Road. M1 Leicestershire - One lane closed on M1 southbound from J21, M69 (Leicester) to J20, A4304 (Lutterworth), because of a lorry having a tyre changed. The team will be able to fly the unmanned aircraft into places hard or unsafe for team members to reach on call-outs. 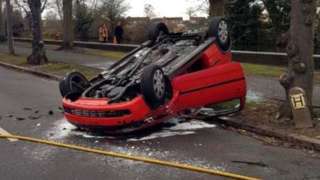 A woman and an 18-month-old boy had to be rescued from the burning wreckage. M1 Derbyshire northbound severe disruption, at M1. M1 Derbyshire - M1 exit slip road closed and slow traffic northbound at M1, Tibshelf Services, because of a broken down vehicle. M1 Derbyshire - One lane closed and slow traffic on M1 northbound from J28, A38 (Alfreton) to J29, A617 (Chesterfield), because of a broken down vehicle. Today's updates have now finished. We'll be back with more news, sport, travel and weather from 08:00 tomorrow. BBC Weather says after a mild evening we're in for a dry, clear night with starry skies. It's likely to be quite cold though, with fog and mist in some areas.